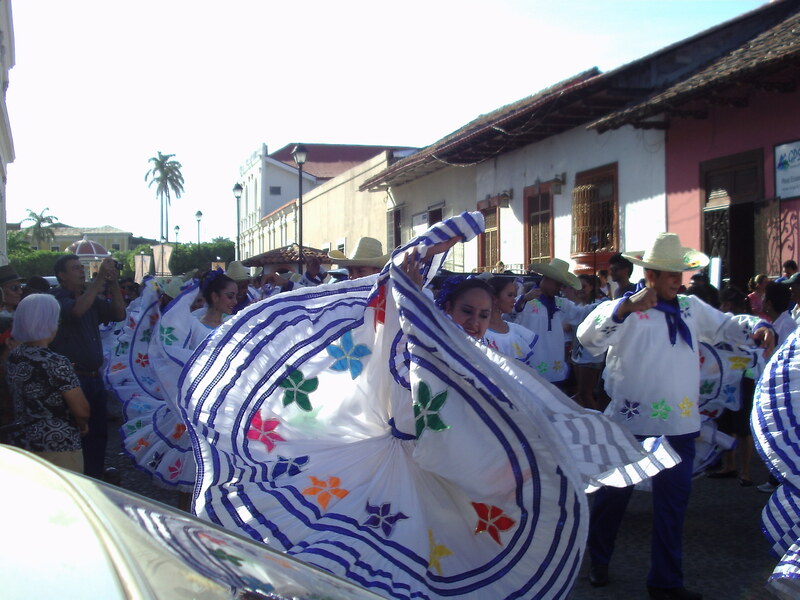 Les Wicks has just returned from attending the Festival Internacional de Poesía, Granada in Nicaragua. Here he shares his experiences of the Festival. We do what we do. Mostly it’s like some sort of psychiatric itch, satisfied safely in dark corners well away from any hint of public gaze. Oh yes, to be a poet sounds dashing, even romantic… to anyone who knows nothing of the realities of our invisible art. I think the general consensus is that the world needs poetry just so long as nobody ever has to read it. The first indication that something was different in Nicaragua was when two of us were plucked from the “huddled masses” at immigration in Managua airport to be spirited away to the diplomatic suite while our passports and luggage were processed by energetic others. We are not used to special treatment. So to be launched into a tardy, spectacular maelstrom that was the Festival Internacional de Poesía, Granada. This beautiful lakeside town has a vast central public area called the Plaza de la Independencia. An extraordinary expanse – this was to be the heart of the Festival. Each night there was an audience ranging between 500 and 2000 – engaged, animated and happily munching on popcorn. I had experienced something similar in Medellín, widely acknowledged as the world’s biggest poetry Festival, but this extraordinary outpouring of that rarest commodity in poetry – interest – is deeply humbling. I know people use this phrase all the time but when you experience the real thing there simply isn’t another word for it. This isn’t about star power. There were around 100 poets from 50 countries performing across the seven days. Each poet was probably only known to few of their compatriots, let alone this vast audience. With the exception of those like Ernesto Cardenal, to the audience we must’ve seemed like a collection of disparate oddities, a freak show of words. But we were part of something called poetry and that was what they showed up for… a conscious choice in a town where there was plenty else going on. They listened patiently to the, say, Friesian version of one poem waiting for the Spanish translation that would follow. Throughout each day there were a series of smaller, but well attended readings. There was an exciting range of work available at the book fair. But just as we had settled in to this enriching pattern of engagement there was the biggest surprise of all – the carnival. This year themed around the proposition of celebrating a death of violence against women through poetry (this loses something in the translation) we were in a street parade lasting several hours (with thermometers hitting the mid 30s) – an array of musicians, dozens of dancers and thousands of onlookers. At each streetcorner the carnival stopped and poets were called to the stage to read their work. Earlier I talked about humility, in the carnival I cried at times. This was just so much. Everything ran late. There were some interesting failures of organisation. But this was set against a planning incomprehensible anywhere else in the world. The scale was mind-boggling. We just shook our heads as we watched organisers going publicly mad juggling so many balls at once. More than once we had to ask ourselves whether all this could be justified in a country facing so many economic challenges. Nicaragua is poor, the 2nd poorest in the western hemisphere. Nicaragua has vast inequalities. The newly restored Sandinista government faces an economy in many ways at a standstill. The endemic corruption throughout the region has allegedly breached the barriers and a proposal for a Chinese built canal to rival Panama cutting through the country’s gigantic freshwater lake sees the country deeply divided. Why would a fortune be wasted on words? On the first night there were a few of us in the audience chattering quietly through the long blocks of indecipherable (for us) Spanish. The homeless guy in front of us tapped our knees and begged us to be quiet so he could hear. Over the week teenagers pulled us aside asking for autographs, but more importantly wanting to clarify points in our work that they wrestled with in their hard fought English. We engaged with the people at each point of this extraordinary week – some clearly from the social elite engaging in “high culture”, some penny-poor revelling in the roars from angry wordsmiths. The simple reality is that poetry rests close to the core of Latin America’s DNA. This didn’t happen over the course of a few decades, it didn’t happen by accident and it has been maintained through prodigious efforts by countless practitioners and volunteers. It is an amazing sacrament that those of us from other cultures can only marvel at. Is this the justification? For me, the assessment of the Festival from a critical standpoint is a process that will take some months yet as I read through the array of books I took home to follow through from the live experience. Of course, one could revel in the lyric clarity of US poets like Richard Blanco and Jessica Hellen Lopez. I ran across the work of Campbell McGrath the first time and was fascinated. Sweden’s Bengt Berg had a canny anarchism that disrupted the easy assumptions of poetry. New Zealand’s Doc Drumheller had the crowd eating out of his hand. Peter Waugh, Immanuel Mifsud, Monica Aasprong, Aurelia Lassaque, Dylan Brennan, Claudio Pozzani, Alexander Hutchison, Hanane Aad, Gasper Malej and Johanna Veno all brought unique voices to play. After some rum fuelled insights into poetry shared with Maarja Kangro I looked up some of her translated work and thought yes, she gets it. I loved Luis H Francia’s work and attending the launch of Sudeep Sen’s Spanish book enabled me to immerse myself in a full hour’s worth of his words helpfully also read in English. It was a frustration that I was unable to understand the full richness of so many of the Latin American poets, but having previously read a superb anthology called The Oxford Book of Latin American Poetry I kinda knew what I was missing. I recommend it to readers. The final question is both difficult and tedious. 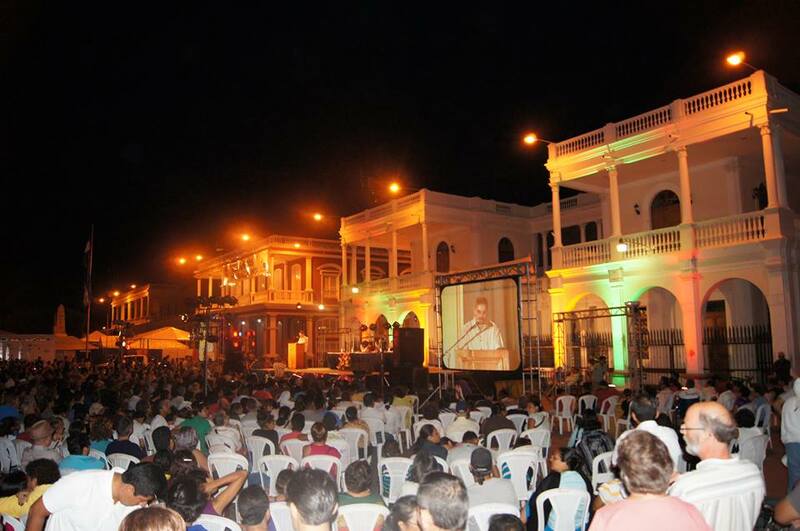 What is the biggest poetry Festival in the world, Medellín or Granada? I’m not sure I’m ready to take that call as they have quite significant points of differentiation. But to have been a guest at either changes a poet’s perception of self and their art fundamentally. Both richer and poorer we sit before our computer screens knowing each word must count, somewhere. Les Wicks’ 11th book of poetry is Sea of Heartbeak (Unexpected Resilience) (Puncher & Wattmann, 2013), his 12th (a Spanish selection) El Asombrado (Rochford St Press, 2015) is available on-line http://elasombrado.com/. He attended the 2015 festival with assistance from Copyright Agency for part of the transit costs. This entry was posted in Festival Internacional de Poesía, Granada, Issue 13, Les Wicks and tagged Alexander Hutchison, Aurelia Lassaque, Bengt Berg, Campbell McGrath, Claudio Pozzani, Doc Drumheller, Dylan Brennan, Gasper Malej, Granada, Hanane Aad, Immanuel Mifsud, Jessica Hellen Lopez, Johanna Veno, Latin American Poetry, Luis H Francia, Maarja Kangro, Monica Aasprong, Nicaragua, Peter Waugh, poetry, Richard Blanco, Sudeep Sen by Mark Roberts. Bookmark the permalink. Bloody amazing! Thanks for taking us there, Les.